4 Fitness Fads: Effective Tools Or Glorified Gimmicks? Four too-good-to-be-true contraptions you don't need, and a workout and meal plan you shouldn't live without! When you channel-surf television for something amazing to watch, you're bound to drop into one of those loud, flashy infomercials showcasing some sort of "wonder" product. Most of you ascertain from the get-go that the product is probably just a gimmick, a hoax, a scam, but nevertheless you watch, watch and watch some more. Soon you're hooked! The phone is in your hand, and you're drooling all over yourself, ready to buy the latest fitness gadget, contraption or doohickey. In our consumer-based society, you're bound to be exposed to these products and their big promises through a convoluted maze of advertisements. Is the latest gizmo the real secret to a lean and toned body? Let's take a look at some of the most popular items and see how they measure up. 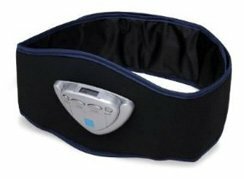 The idea behind this device is that after you fasten it around your midsection and turn it on, the belt will send small electric shocks to your abdominal muscles, causing them to continuously contract and relax. Essentially, it would mimic doing a series of abdominal crunches that constantly recruit your abdominal muscle fibers. But how hard do those muscle fibers really work? Assuming this belt is safe for the average individual, the electric shocks it gives are probably very light, and the force needed to really make your muscles work would be something similar to the electrical chair. In any case, low levels of contractions will not produce washboard abs. They will, however, make you look spastic if you wear it in public. Secondly, how many calories will you burn with this thing? Hardly any. Anyone who has great abdominals knows that if you want a six-pack, you need to burn a lot of calories. Burning calories helps melt away fat so you can expose the abdominals. While the Ab Slimming Belt may prevent muscle atrophy if you're bed-ridden, it isn't going to do much else. The shake weight is the newest (and silliest) fitness contrivance on the market, but sadly has become popular for women. Supposedly, vigorously shaking this 2.5-pound weight will produce firm and toned arms in a jiffy, and the recommended six minutes of Shake Weight exercise a day will (insert hyper-advertising mega-voice!) leave you looking sleeker and leaner than ever before! Where do I begin? First, 2.5 pounds is not nearly enough resistance to challenge anyone - not even your grandmother. Secondly, the range of movement using the Shake Weight is too short and abrupt. It is likely to cause an injury before it gets you ripped. Unless you work the muscles across their full movement range, the exercise becomes inefficient and ineffective to create shapely arms. Sure, you'll feel a slight burn after awhile, but a burning sensation doesn't correlate to results. Not convinced? Before spending some of your hard-earned money, make your own Shake Weight by filling up a shaker/water bottle with water, and shake it. And if you like it, you already have your own version to use. Come on, really? This belt, once wrapped around your waist, is supposed to heat up your midsection and melt away fat. It's the ultimate spot reduction, abdominal exposing machine, right? Not exactly. Fat doesn't melt; its cells must be burned through exercise. 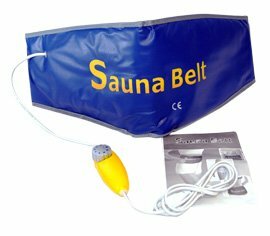 All the Sauna Belt is likely to do is cause you to feel uncomfortably warm, look a little silly, and become dehydrated. Shedding water weight is temporary and unhealthy, and it's going to come right back when you rehydrate. You need to be burning fat folks, not water. Besides, you could also take a hot bath or hop into a real sauna and get the same effect! The last thingamajig to stay away from is the Ab Glider. These things may come right off the space shuttle, but they are far from stellar. Sure, you'll feel your abs working a bit, but fancy design and hefty price tags won't deliver the abs you look for. While the Ab Glider might be kind of fun to use, noticeable difference in ab definition is not likely to happen from using this device alone. It doesn't make you work hard enough. The biggest way to get flat, defined abs is by losing body fat. Most of us have pretty good abs; it's just a matter of exposing them. There are also plenty of free exercises which use the largest muscles in the body that are great for fat loss. These muscles include the quads, hamstrings, glutes, chest and back. Before your wallet is emptied and your abdominals disappointed, make use of my two ab-accelerating wonders that won't cost you a penny and come with no strings attached! The first state-of-the-art tool for great abs is a great workout, so here it is! Move quickly from one exercise to the next. Once you've completed the entire circuit, give yourself 1-2 minutes of rest before repeating it 2 more times for a total of 3 rounds. Abdominals are built in the kitchen, so here's a healthy meal plan that can get the job done better than any gizmo! 1 tbsp of peanut butter on 1/2 an apple.